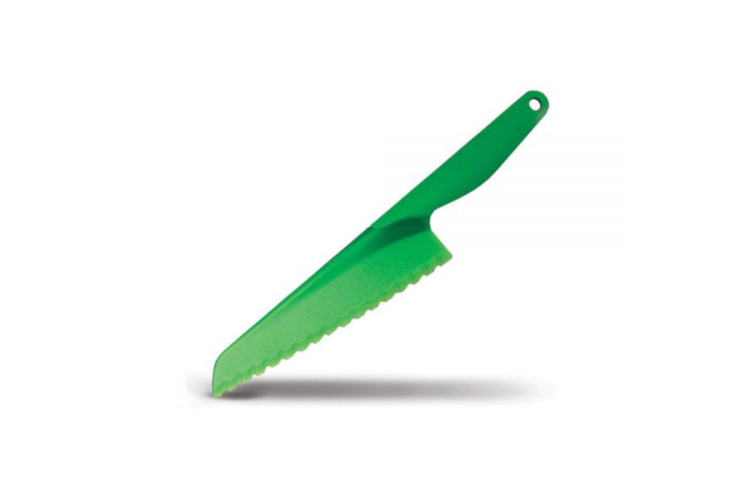 The Zyliss Lettuce Knife is a plastic knife with serrated edges, which is ideal for cutting lettuce without turning the lettuce brown (which can happen with metal knives). It is also a very handy tool for use when something has been baked in a non-stick pan (like cake or brownies) where again you would not want to use a metal knife. Dishwasher safe. Zyliss products are recognizable by their functional, elegant design and solid construction. All Zyliss tools are precision made of high quality materials and undergo stringent testing before being introduced. Zyliss is a Swiss company with a reputation for making stylish, durable and innovative tools for the kitchen. The company was founded over 50 years ago has always been known for their high quality, well engineered products. In recent years it has developed a distinctive style, which, combined with their reliability, has resulted in a range of very popular kitchen equipment.